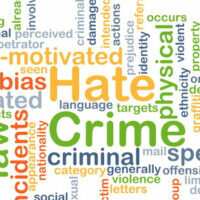 Hate crimes add years to sentences that would otherwise not involve any jail or prison time at all. Under Florida statute 775.085, a misdemeanor or felony is upgraded to the next level if it is found by the court that the act was committed against a person because of their race, religion, sexual orientation, or other protected status. For example, a first degree misdemeanor is reclassified as a third degree felony. A third degree felony is upgraded to a second degree felony, and so forth. As such, simple assault where no physical injury or contact occurred, and which is usually a second degree misdemeanor, could land you in jail for up to 12 months if it is deemed a hate crime. You need an experienced West Palm Beach criminal defense attorney to fight against these allegations. Three bills are on file for the 2018 legislative session, all three of which would either add to the list of protected statuses under hate crime laws, or would increase the penalties, as reported by News4Jax. As it stands, a hate crime can be charged if the offender committed the crime because of the victim’s race, religion, color, ancestry, sexual orientation, religion, or national origin. The first bill, introduced by a Democrat state representative, would add gender identity to that list. This would increase the penalties that a defendant faces when they are charged with committing a crime against a transexual person because of that person’s gender identity. In addition to protecting trans people, the bill, if it became law, would also give protections to people with disabilities. Hate crimes in Florida have been increasing since 2015, and are expected to continue increasing throughout 2017, according to the WLRN.org. The majority of current hate crimes are motivated by the victim’s race or color, followed by sexual orientation, then religion. Because gender identity is not currently a protected status, there are no statistics available for how often crimes are committed against a person because of their gender identity. If you have been charged with any crime at all, it is imperative to work with an experienced attorney who will aggressively defend your rights. This is doubly important if you have been charged with a hate crime. Contact the West Palm Beach criminal defense attorneys of the Skier Law Firm today for assistance.